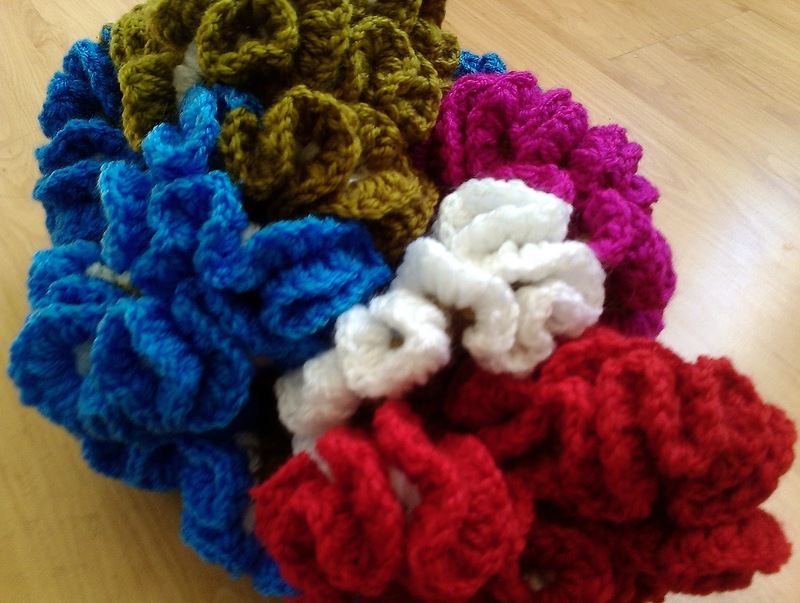 This is a guest post by Kathryn who blogs about all things crochet at Crochet Concupiscence. Visit her there or on Twitter as @Crochetblogger. If you like what she has to say about crochet art, you can support her on Kickstarter with a small donation to her crochet art project, Swaddle. I am working on a large-scale crochet art project called Swaddle. As I’ve been telling people about this project, I’ve come to see that there is a huge debate as to when this craft becomes art. It’s certainly a subjective issue but I’ll share my two cents as a crochet artist about how to take your crochet to a level where you can consider it art. The first step is to figure out what art means to you. Some people feel that all crochet is art because it is handcrafted to express the vision of the maker. Others feel that it is not art if they follow a crochet pattern but is art if they create a crochet design themselves. Still others feel that to be art, the crochet piece must be both visually appealing and conceptually interesting. Art is subjective. If you want to feel like a crochet artist, you must first define what crochet art means to you. In my personal opinion, crochet art is most powerful when it has a concept behind it. What is the idea that you are trying to express? It doesn’t have to be a big in-depth concept, although it can be. You might want to express the power of repetition or you might want to explore the domestic history of crochet in your work. In Swaddle, I am using crochet to explore the idea that the ways in which women tend to communicate affects their relationships with men in both positive and negative ways. There are many smaller concepts within that to explore but that’s the basic idea. By launching my pieces from this big concept, I can create a work of art instead of just a random crochet piece. Grow your crochet art project by taking your idea and running with it, seeking out various sources of inspiration. Visit an art museum, browse through Ravelry, go for a walk and seek out things that relate to your art idea. Find ways to harness the inspiration, channel it through your idea and produce your crochet art piece. For example, one of the things that I used for inspiration in Swaddle was to listen to how men talk about the way the women in their lives communicate with them. On the positive end of the spectrum, they use words like “support” and “comfort”. On the negative end of the spectrum, they use words like “nag”. I paid attention to this as a source of inspiration and then asked myself how I could show support and comfort and nagging in my crochet art. One example of how the inspiration may turn into the finished piece is in my title work, Swaddled. This is a collection of crochet swaddling blankets wrapped around representations of male figures. Some are cozy and comfortable, as we expect crochet blankets to be. Some are strangling and suffocating. Some are too loose and the male is exposed. This represents the core idea behind the title project. Another example is how I turned nagging into crochet art through my WIP piece 40 variations on a Granny. When I think of nagging, I think of someone saying the same thing over and over and over again. However, the person who is doing the nagging usually says the same thing in ways that they feel are different each time. 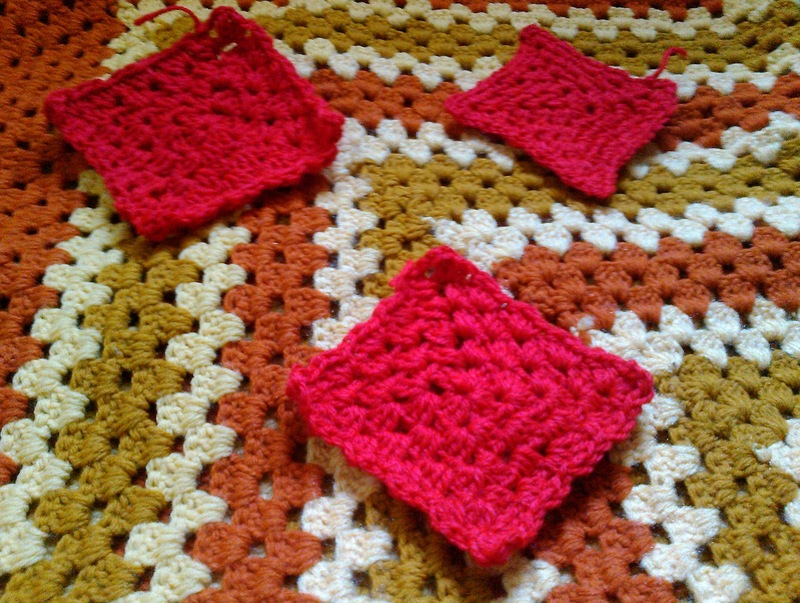 In this piece, I am constructing granny squares in the same color but using different stitches in each one to show this concept of how nagging appears to both sides. I think it can be really valuable for you to think of your crochet work as art, whether you are making a scarf or a multi-piece crochet art project like Swaddle. The reason for this is that many people dismiss their crochet art work as not important, just a hobby, a little craft when really it’s a form of self-expression. When you own the title of “artist” and call your crochet “art”, it takes on more meaning for yourself as well as for others. You can feel good about yourself devoting your time to your crochet because you are making art. And you can be proud showing it to others, which you should be. So figure out what art means to you and then celebrate it in your crochet work! Ultimately, the best advice I can offer to budding crochet artists is to have fun with whatever you choose to do to make your crochet an expression of yourself. Follow an idea that you feel passionate about, enjoy sourcing the inspiration to grow that idea and honor yourself by taking the time out of your day to crochet. A note from Cami - I am honored that Kathryn wrote this post for Art, Like Bread. I love the ideas she shared in today's post and I hope that everyone will consider supporting Swaddle on Kickstarter. I did!